A long list of basketball’s living legends will arrive in Oakland this Friday evening for a quadruple header of competitive 3on3 basketball in Ice Cube’s BIG3 Basketball League. Starting at 4pm inside Oracle, Bay Area basketball fans will be treated to four hours of star-studded, albeit over-the-hill NBA basketball. To top it off, die-hard Warriors fan E-40 will be in the house to provide live entertainment. 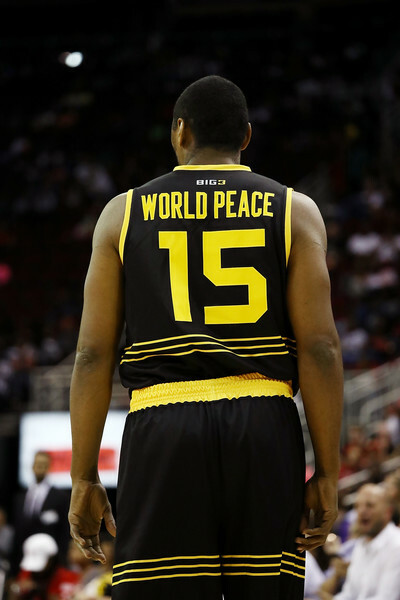 Now in its second season of existence, the BIG3 Basketball League consists of eight teams, competing for eight weekends, followed by two weekends of playoffs with the championship round held in Brooklyn. Friday will mark Week 3 of the 2018 season, bringing together a collection of players and coaches that made the NBA what it is today. The Bay Area legends that will be back in Oracle on Friday include Baron Davis, Stephen Jackson, Drew Gooden and Josh Childress. 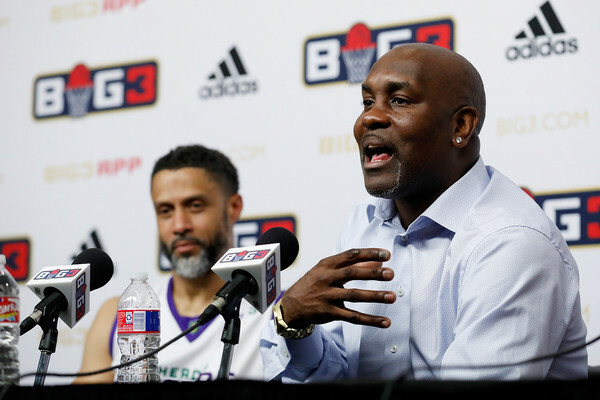 Gary Payton and Rick Barry will also be seen on the sidelines as coaches. If you look beyond those with Bay Area ties, you’ll find tons more star power, led by coaches Dr. J Julius Irving, Iceman George Gervin, Charles Oakley, Michael Cooper and Rick Mahorn. WNBA legend Nancy Lieberman is also a notable head coach. Other players on the floor will include Mike Bibby, Quentin Richardson, Chirs “Birdman” Anderson, Metta World Peace, Mahmoud Abdul-Rauf and Nate Robinson, just to name a few. Nobody will mistake this for the NBA Finals between the Cavs and Warriors, but when you put this many hyper-competitive NBA superstars on one (half) court, you’re bound to have some fireworks of some sort, rest assured. The rules of the BIG3 are fairly simple. The half court games are played to 50, win by two. The teams are comprised of seven players. There are three circles out beyond the 3-point line that count as 4-pointers if your foot is in the circle. There is also a 14-second shot clock and the defense must clear the ball outside the 3-point line when they get a rebound. The Trilogy, led by Kenyon Martin took home the inaugural championship trophy last season. This year, they are off to an 0-2 start. So far the league leader in scoring this season is Baron Davis. He figures to have another big game back on the Oakland hardwood. If you can’t make it out to Oracle to see the madness in person, all four games will be available either on Facebook Watch or FOX. If you’re looking to gamble on these games, we recommend you seek help.